The CCF defends the constitutional rights and freedoms of Canadians. 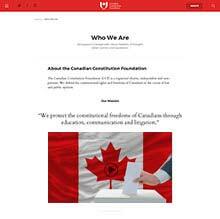 The Canadian Constitution Foundation (CCF) is a registered charity, independent and non-partisan. They defend the constitutional rights and freedoms of Canadians in the courts of law and public opinion. CCF Needed a clean responsive website that is a perfect fit for their heavy reading, well educated presonas. 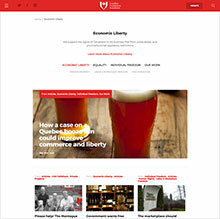 The responsive design delivers a pixel perfect website to any device. Customized Wordpress build allows for managed donation forms, website content, users and newsletter subscriptions. Brand DNA extracted and brand flexed. 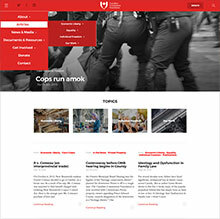 Search engine optimized to bring up the most recent articles. 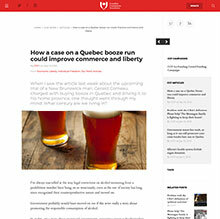 Clean layout focuses on text making it easy to read.